Jireh Singson was the first artist who made it to The Voice of the Philippines Season 2 Blind Auditions November 29, 2014 episode, 21 years old from Makati City. Jireh grew up as a pastor’s kid and a very talented and gifted singer and musician. Though he has grown in a Christian family wherein his father was a pastor, he was not exempted from the influence of the world, in fact he was able to create a band wherein smoking and drinking were norms. Jireh was able to remember where he came from when his sister who was a special child died. He felt sorry for everything he did until he went back to what he was previously doing which was serving in the ministry. 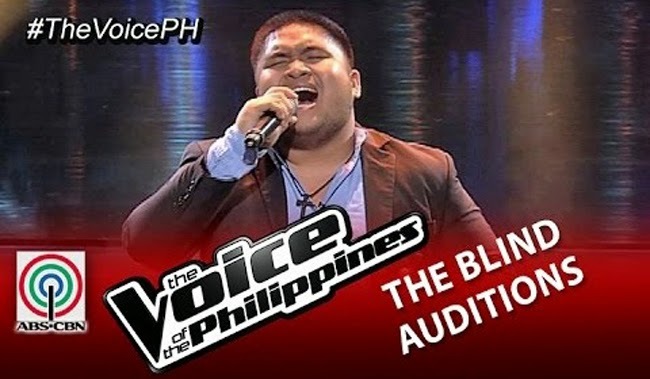 During the Blind Auditions of The Voice, Jireh performed the Sugarfree hit “Makita Kang Muli” and he tried to convince the coaches to turn for him. His voice was powerful that made Coaches Apl.de.ap and Sarah turn their chairs. Coach Bamboo explained why he did not turn his chair. He said that Jireh might be trying his best to lift up his voice which should not be. Coach Lea noticed the same thing. On the other hand, the two coaches who turned their chairs believed that Jireh has something more to offer. The battle was between Coaches Apl and Sarah and Jire had to choose between them. Jireh in the end chose Coach Sarah for he believed she could develop more of his talent. She was welcomed by his coach with a hug.